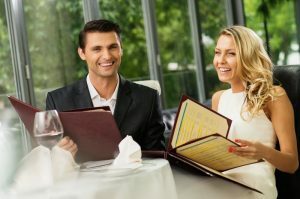 Business Insurance for Restaurants New Orleans – Contact Us Today For Quotes! In parts 1 through 8 of our current series we have witnessed Pete Ross go through a number of challenging events with his restaurant, Squeaky Pete’s Pork Emporium. If you recall in part 1, Pete is the wealthy son of a highly successful couple now retired. His parents encouraged him to get out on his own so Pete asked them for a loan to start up a new restaurant. They agreed to help their son get started. Pete used the loan to open his business and purchase Restaurant Insurance, and since that day he has put his business insurance to the test. To recap, Pete lost a few thousand dollars of food stock due to power loss, he was sued by a customer after that customer took a hard fall from slipping on spilled vegetable oil, one of Pete’s cooks burned himself badly in a kitchen accident, and now Squeaky Pete’s Pork Emporium just endured a grease fire. Tracy receives Pete’s message and gets back to him first thing Monday morning. She informs him that the damage done by the fire should be covered under two elements of Pete’s insurance. First, any damage to the structure of the building – walls, beams, ceilings, etc. – would be covered under Building Property Coverage. Second, any damage to items that are not part of the structure of the building – tables, chairs, ovens, kitchen equipment, computers, etc. – would be covered under Business Personal Property coverage, sometimes abbreviated to BPP. Tracy helps Pete get the claim turned in. A claims adjustor named Ron Jordan is assigned to the claim, and will soon come out to inspect the damage. “Thanks again, Tracy. I’ll talk to you next week,” Pete states with a nervous laugh. “Well hopefully not, Pete. Insurance companies really don’t like it when you have too many claims, and you have had more than your fair share!” Tracy laughingly responds. “I’ve certainly had my share of bad luck,” Pete agrees. “I don’t think I can take another claim, Tracy. I have enough drama in my life” Pete laments. As Tracy says goodbye to Pete she thinks about what a nice guy he is. It seems like his business is doing well. I just hope his insurance company doesn’t decide to cancel his policy after all those claims! Stay tuned for next week’s episode to learn what happens next. 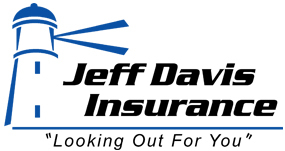 New Orleans Restaurant Insurance – We’d Love to Hear From You!